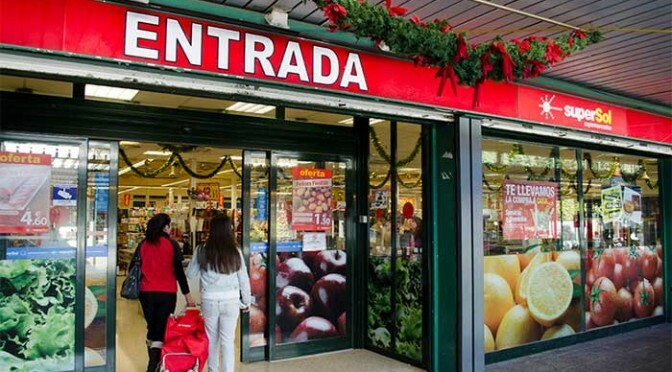 Ronda, the Serranía’s biggest city is blessed with several supermarkets, some of them quite large and carrying a complete range of grocery items. Outside of Ronda most of the villages are serviced by small family owned grocery stores, which somehow manage to stock almost everything you could need in a space the size of a garage. Named after the old name of Ronda, the Arunda I hotel is a cozy establishment designed to be family-friendly. The hotel is within easy walking distance of the railway station at the top of Calle La Bola, Ronda’s main shopping precinct. From the hotel the Plaza de Toros and Puente Nuevo are just 800m away along a pedestrianised street. 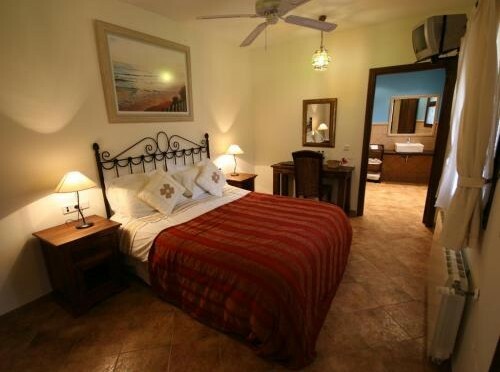 The 12 simple rooms at the Arunda I are all air-conditioned and are non-smoking rooms. The hotel also has a safety deposit service where guests can leave their important papers and valuables for safekeeping while they are out and about exploring the sites that Ronda has to offer. Bicycle hire from CycleRonda is only 50 metres away, although the hotel reception is able to organise this for you if desired. 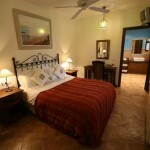 Reserve your room at Hotel Arunda here. Myths and stereotypes about other people and countries are just human nature, and often they can be quite amusing. 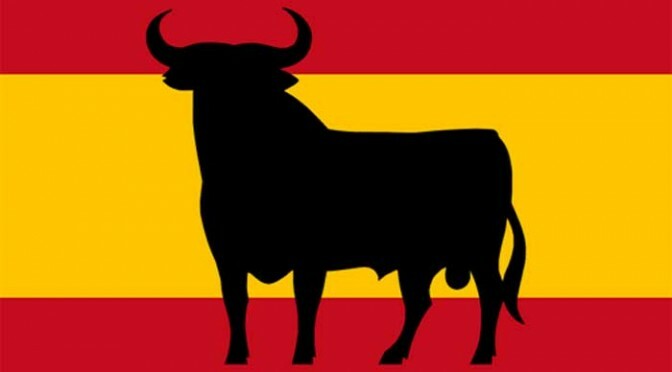 Some of the myths about Spain and the Spaniards are an endless source of debate amongst expats living here; how inaccurate are they really, is Spain really that bad? We don’t think so, and like any country, the stereotypes you choose to believe will be real if you look hard enough to find them, but throw them out with the bath water and you’ll see Spain is really no different from anywhere else. Here’s our top 10 myths about Spain debunked. 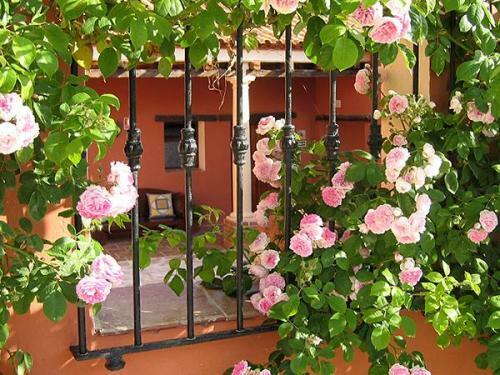 The Hotel Rural Molino del Puente Ronda is situated in the heart of the Andalusian region and is dedicated to provide guests with the best amenities no matter what the season may be. In the short winter season in Andalusia, guests will enjoy camping in front of the open fireplace, but for the longer warmer months the hotel has a private outdoor swiming pool and poolside loungers. Apart from the swimming pool, guests can also spend their free time at the hotel’s well kept grounds. The garden is filled with fruit trees and soothing scents, and not to be forgotten, the sound of the Guadalcobacin River that runs behind the hotel is ever present, making the gardens an idyllic oasis away from the crowds. 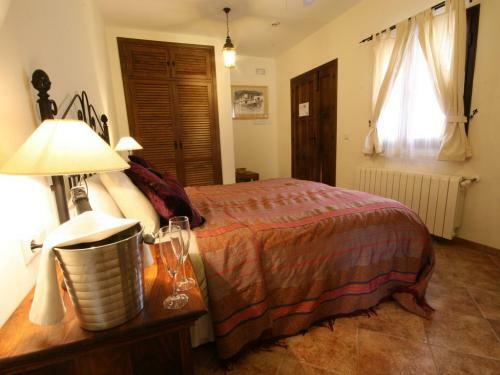 The hotel is built upon an old flour and olive oil mill hence the Molino in its name. Some of the odds and ends used in the old mill are used to decorate the hotel creating a unique Andalusian theme. 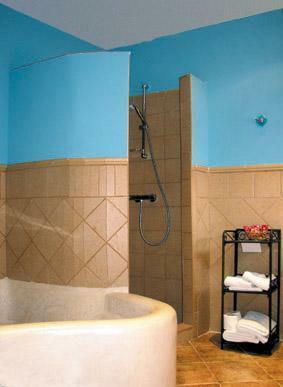 The rooms meanwhile are designed to be modern, with amenities that guests have come to expect from three-star hotels. 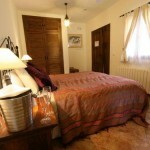 The Hotel Molino del Puente Ronda has facilities and rooms for the disabled as well as an elevator. Value-based free services supplied by the hotel include the free Wi-Fi connection and private parking. 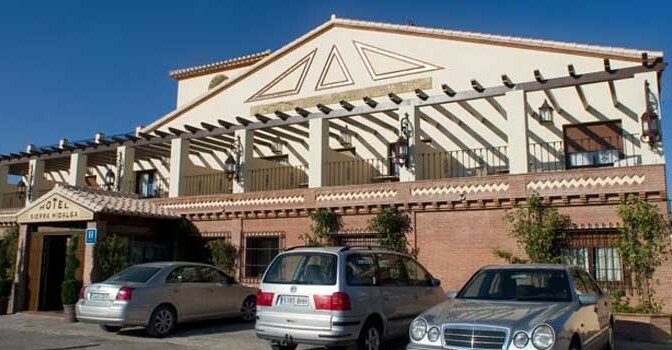 This three-star hotel is situated at one of the oldest parts of historic Ronda, very near to the gypsy quarter and in the oldest commercial street in Ronda. The Enfrente Arte is just a five-minute walk away from city centre shopping, authentic tapas bars, and of course the monuments of Ronda. The Arab Baths as well as the famous Ocho Caño fountain are just some of the popular tourist spots located near the hotel. 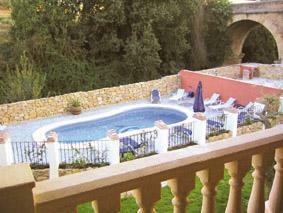 This modern hotel is situated just a mile away from the heart of the magnificent city of Ronda. Its location provides a perfect view of the Sierra mountain range, a soothing view for all guests of this three-star hotel. 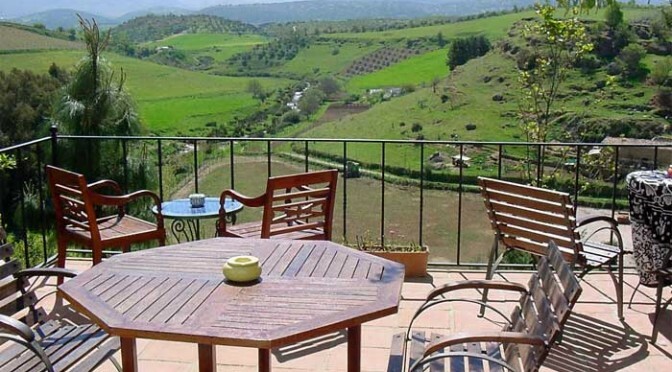 Its proximity to the city center of Ronda makes it easy for guests staying at this hotel to easily visit some historic sites like the famous Plaza del Toros and the El Tajo gorge. 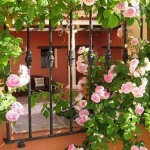 Guests can also visit the nature reserve that is the Sierra de las Nieves.